진달래 꽃잎을 섞어 담는 향기나는 술로 진달래꽃을 두견화라고도 하므로 두견주라고 부른다. 두견주는 고려의 개국공신인 복지겸(卜智謙)에 얽힌 전설이 있다. 그가 병이 들어 온갖 좋다는 약을 다 써도 병이 낫지 않자, 그의 어린 딸이 아미산에 올라 100일 기도를 드렸다. 신선이 나타나 이르기를 아미산에 활짝 핀 진달래꽃으로 술을 빚되 반드시 안샘(지금 면천초등학교 뒤에 있는 우물)의 물로 빚어 100일 후에 마시고 뜰에 2그루의 은행나무를 심어 정성을 드려야만 효과가 있다고 하였다. 딸이 그대로 하였더니 아버지의 병이 나았다고 한다. 술의 색은 연한 황갈색이고 단맛이 나며 점성이 있는데 신맛과 누룩냄새가 거의 없고 진달래 향기가 일품이다. 알코올 도수는 21도 정도이다. 혈액순환을 촉진하고 피로회복에도 효과가 있으며, 특히 콜레스테롤을 낮추어 주어 성인병 예방에도 효과가 있다고 한다. 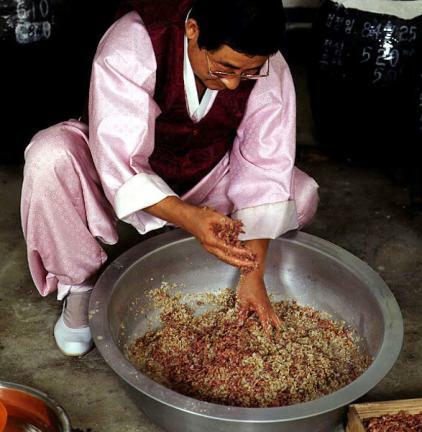 하지만 진달래꽃의 꽃술에는 독성분이 있으므로 술을 담글 때 꽃술이 섞여 들어가지 않도록 조심해야 한다. 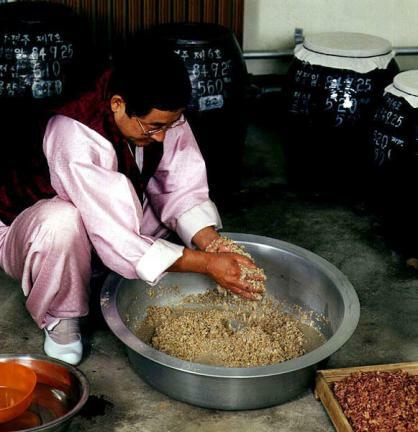 Myeoncheon Dugyeonju refers to good-smelling liquor made in Myeoncheon-myeon, Dangjin-gun, Chungcheongnam-do. 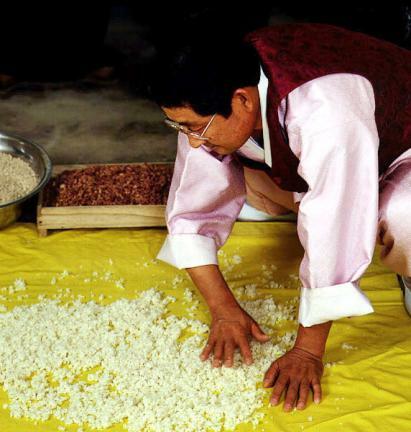 The name Dugyeon was attached to it, as azalea petals (dugyeonhwa in Korean) are used in making it. 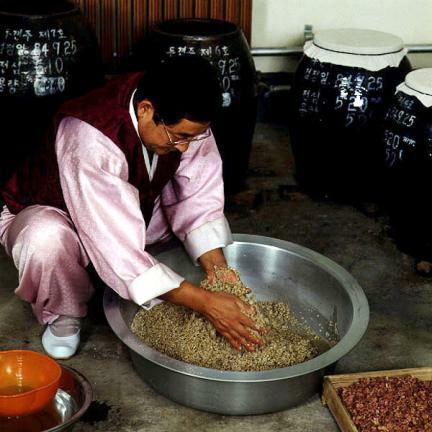 A legend links this liquor with Bok Ji-gyeom, who helped Wang Geon (King Taejo) found the Goryeo Dynasty (877-1394). The king came down with a serious illness. The family tried many medications for him to no avail. His young daughter started praying for her father’s recovery at Amisan Mountain. 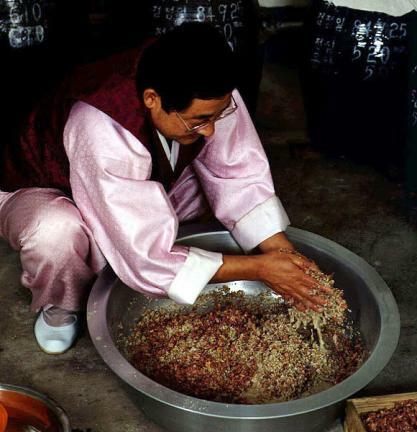 On the 100th day, a mountain deity appeared and told her to make liquor using the full-blown azaleas that grew on Amisan and the water of the Ansaem Well (a well behind present-day Myeoncheon Elementary School), let her father drink it 100 days later, and then plant two gingko trees in the courtyard of her house. She followed the instructions and her father recovered from his illness. 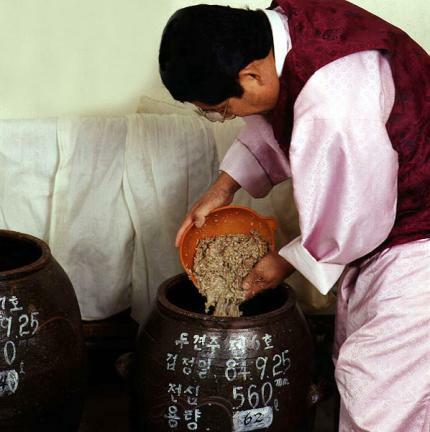 The liquor is viscous, light yellowish brown in color, and tastes sweet. The azalea fragrance from it is pleasant and it has no reek of yeast. Its alcohol level is 42 proof. 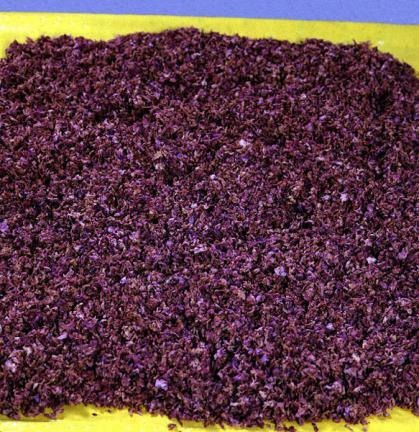 It improves blood circulation, helps recovery from fatigue, and lowers cholesterol level. 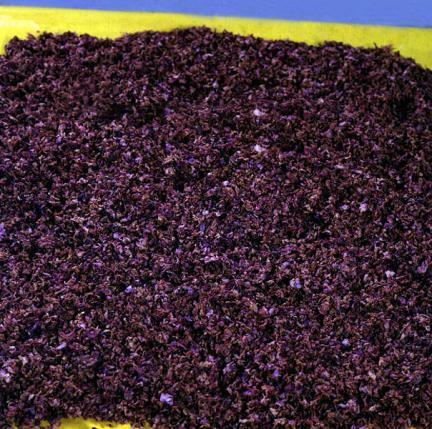 Stamens and pistils of azalea flower have some toxicity, and thus one should take care not to let them get mixed in the making of the liquor.